1. 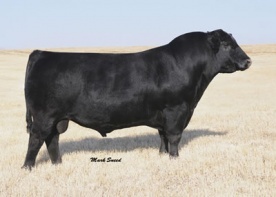 One of the breed's highest rib eye bulls on the market, in the top 1%. 2. His calves are extremely fashionable and clean. 3. Use him to add market value to your cattle. 4. He is in the top 10% for docility.